We are really excited to be part of the FluffMas Giveaway Hop hosted by the Blogging Mamas Network! 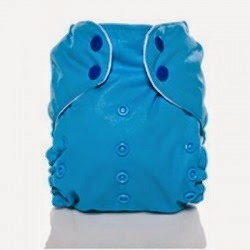 I know many of my readers cloth diaper or want to try cloth diapering, so this is a perfect fit. 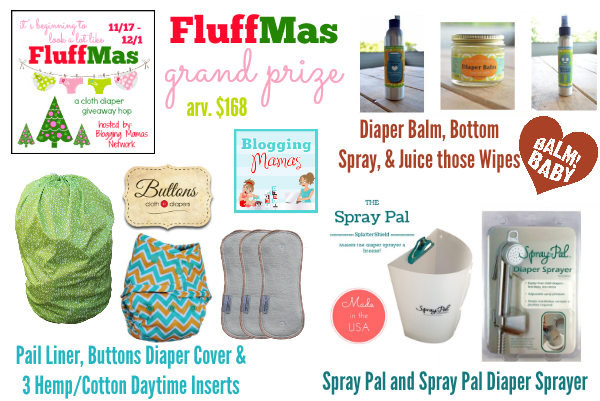 Each participating blogger in this hop has a fabulously festive and fluffy prize for you, so be sure to hop around to them all and don't miss the fantastic Grand Prize featuring Buttons Diapers, Balm Baby, and SprayPal! You can enter to win the FluffMas Grand Prize here. Mini kiwi is born from the meeting of parents and entrepreneurs wishing to reinvent the baby world by offering a range of eco-friendly, modern and quality products. We have forged strong partnerships with designers, artisans and artists from here and elsewhere. 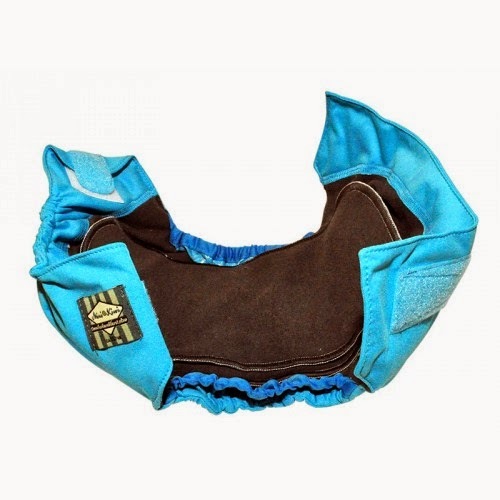 Our primary mission is to make the cloth diaper a trendy and reliable object. We work hand in hand with several local seamstresses that are at the heart of our creative spirit and high quality of our design. Our collaboration with a Mexican entrepreneur, mother of three children living in a small village in Mexico has emerged following an impromptu meeting and a heated discussion revolving around motherhood and cloth diapers. In Canada, we generally choose cloth diapers for ecological reasons and to avoid chemicals coming in contact with baby. In this small Mexican village, cloth diapers are used primarily to save money. With time, our dreams became intertwined. We wanted to create a high quality cloth diaper and she wanted to start her own sewing business and create jobs locally. Through our partnership, we employ eight fairly paid full-time workers, in a workshop managed by a young mother and her family. Mini kiwi continues to grow and we now manufacture products in Canada and Mexico. We have a dozen employees who work with us to manufacture, promote and distribute Mini kiwi products. All of our fabrics, thread, velcros and elastics are manufactured in North America, Our packaging is manufactured in Canada and kept minimal for environmental concerns. We try to give a second life to our packaging. Discover our line of dress-up characters on each packaging. One of you will win two Mini Kiwi AIO charcoal bamboo cloth diapers. 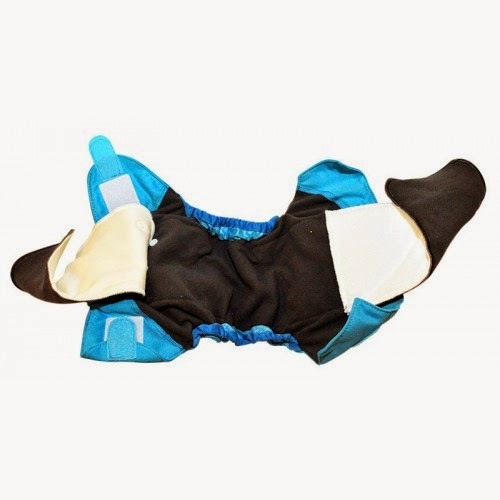 It fits babies from 8 to 35 pounds, is naturally antibacterial and odor neutralizing, dark color hides stains, large absorption capacity, inner gussets prevent leaks at thighs, and has adjustable absorbency. It is available in many fun prints and colors, even owls and a space theme! Don't forge to also enter to win the grand prize below and also enter the other cloth diaper giveaways in the linky at the bottom! I like that it's naturally antibacterial and odor neutralizing. Also enjoyed reading the homeschool info as I'm contemplating doing this. I like the inner gussets on the diaper and the "quit trying to be a perfect mom" article. The charcoal bamboo is a very cool concept. I like that it is naturally antibacterial and odor neutralizing! I love that the MK diaper is designed by two hometown Mamas! (I'm in Montreal). I'm also psyched to go through your recipes, especially Kale Chips! I like the 3 different rise settings! I love that the mini kiwi aio is naturally antibacterial. I liked your blog post about Masala Baby! A lot of organic clothing I've seen doesn't come in such bold, bright colors! I like that it's dark to hide stains. I liked your post on Masala organic PJs. We are always looking for PJs that aren't toxic (like those flame-retardant ones). I like that they've used bamboo fabric! I'm excited to try out charcoal bamboo. I've heard really great things about it. I enjoy your pregnancy posts! I love that they are charcoal bamboo and I love reading the posts under Eco-Living...trying to be better at this and love the information and products you discuss! I'm most excited about the Mini Kiwi is that it is manufactured and sourced in North America. I like reading your CD reviews and CD related topics. My favorite feature is that it is naturally antibacterial! I enjoy following your eco-living post and learning great tips. I like the inner gussets to prevent leaks at the thighs. I enjoyed the green your period Sckoon cup review, I am thinking of switching from pads to one of these. I love the absorbancy of these diapers. Also, I enjoyed reading the Zulily Holiday Outfit review. I love Zulily! I like that it is all made in North America. The charcoal bamboo fabric which helps to hide stains sounds nice. Thanks for the giveaway! I enjoy the homeschooling and recipe posts on your blog! 15 Immune System Boosters and Illness Fighters for Kids post, it was super helpful since G and I both woke up feeling icky this morning. I love the charcoal bamboo feature. I have never tried charcoal. I love all of eco babyz post although I havnt seen too many post lately. I love the internal gussets and dark inner. And I love most everything on Eco-Babyz as a long time subscriber and follower :) Keep up the great work! How exciting...I have never tried cloth and want to try it with baby on the way. I like the many-rise-settings option! I love that it's bamboo and has adjustable legs to prevent leaks! I love your giveaways! I like the naturally antibacterial and odor neutralizing aspect. I love the charcoal bamboo, I've never tried it. As far as posts that I like, I like the pregnancy posts. I really like that is has the bamboo charcoal. I have been wanting to try a diaper out that uses it to see if it would work for us. I enjoyed this review post. One thing I like about the Mini Kiwi AIO is the gusset. It looks like it would be very leak-resistant. I checked out the recipes and the banana almond recipe caught my eye.They sound delicious! I think I will have to keep that in mind for future baking endeavors! I love that this is an AIO and that it is naturally antibacterial (I do not like microfiber). I also love that the interior is a dark color...I can't understand why so many diapers are white inside! I love charcoal bamboo inserts! They hide stains, hold more pee, and are antibacterial!!! Plus they are really soft! I love the dark fabric that hides stains. I hate how all of my diapers are white and show all of the stains. I can relate to the Kids Change Everything article. I remember what it's like to not have a kid, sometimes I miss it. But being a mom is pretty cool though. I like that it is naturally antibacterial. I also like that it has a large capacity to absorb fluid. Sounds like a great cloth diaper for a heavy wetter. I am curious about charcoal bamboo. We don't own a diaper with that type of soaker. I enjoyed reading your sckoon cup review. I love that the dark color hides stains! i love that the mini kiwi diapers are antibacterial and odor neutralizing. I really enjoy reading your blog posts about parents, sometimes its great to get someone elses view point!! I love the chocolate brown interior - no stains! The article on ways to eat an avocado was great. I really like the double gussets on the Mini Kiwi AIO diaper. I really enjoyed reading your review of HotMilk nursing bras. Sounds like a great product! I love the oder neutralizing element to it! Awesome! I'm interested how it uses charcoal bamboo. Not many diapers out there use that fabric. I'd like to try it out! I'm excited about the inner gussets! I hate blowouts! I most like the convenience! Also, I enjoy reading recipes. I love the Charcoal Bamboo in the Mini Kiwi AIO! thanks for the awesome giveaway! I am happy I found your site!!! Love that it's antibacterial! and truly appreciated your Natural Remedies for Postpartum recovery. The diapers do not have the toxins in them that concern me so much. I like the article on Sugar and Grain addiction. Too many children are ruining their teeth because of the garbage we feed them. I love that it has charcoal bamboo! I keep hearing about it, but haven't tried it yet! I love the Charcoal Bamboo! I liked reading about the Masala Baby activewear! i really love the color and would like to try one of these! The feature I am most excited about is the dark color of the interior to hide stains! 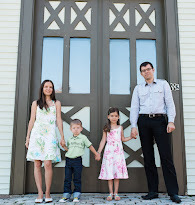 And the post that I can relate to most on the blog is about family health. We are of the same belief in many of our health practices! The double gussets look great! Charcoal bamboo is great to hide poo stains! Love that it is an AIO! Makes it so much easier! I love the overall design of the Mini Kiwi AIO. Love mini kiwi diapers! Would love to try the charcoal. I like the prints and the dark inner color! I've never even heard of this brand before your review (I love reading your posts about products I might never know of otherwise! ), but the Mini Kiwi diapers have a lot of features that I generally like in diapers...double gussets (a must for young babies! ), natural fibers, adjustable absorbancy (I have a hard time with true AIOs because they are too bulky for a very young baby but not enough for a larger child so having the one insert you can remove is great!) and I'm in love with the space print! love that u can adjust absorbency & that they are bamboo! I personally love the charcoal bamboo! I like that it's naturally antibacterial. I'd like to try making the muffins from the banana almond muffin recipe post. I love that they're the charcoal bamboo! I love the gussets...leaks are the worst! Love reading the pregnancies blog posts. I love the charcoal bamboo inserts - they look like they would be good for absorbing and not leaking! I like that the mini kiwi aio is antibacterial!... I enjoyed reading your post about immune boosters for kids... I also prefer natural over medication when possible! I like that mini Kiwi AIO diaper has inner gussets prevent leaks at thighs. That will come in handy. i like that it's naturally antibacterial. from your blog i liked the GB chocolate mango jello pie recipe! I'm most excited about the charcoal. I've never used those! I love that they have Charcoal inserts. I really enjoyed reading your post on the immune boosters. My favorite feature of the diaper inner gusset to prevent leaks. I like that they're bamboo charcoal! ive heard good things but have yet to try!! I really like the charcoal, I can't wait to try it as it seems like such a great product for absorption and odor control. I love the blog post about immune boosters, we have seen a difference using humidifiers! I love the inner gussets. and I enjoyed reading "15 Immune System Boosters and Illness Fighters for Kids" very good post. I love that the lining is dark, to help hide stains!! I like that it's bamboo and I love your recipe section. I really love that it's made of bamboo. I also liked reading your post about vaccines. It was very well researched. I like that the Mini Kiwi AIO is a one size diaper and that it has inner leg gussets to prevent leaks!